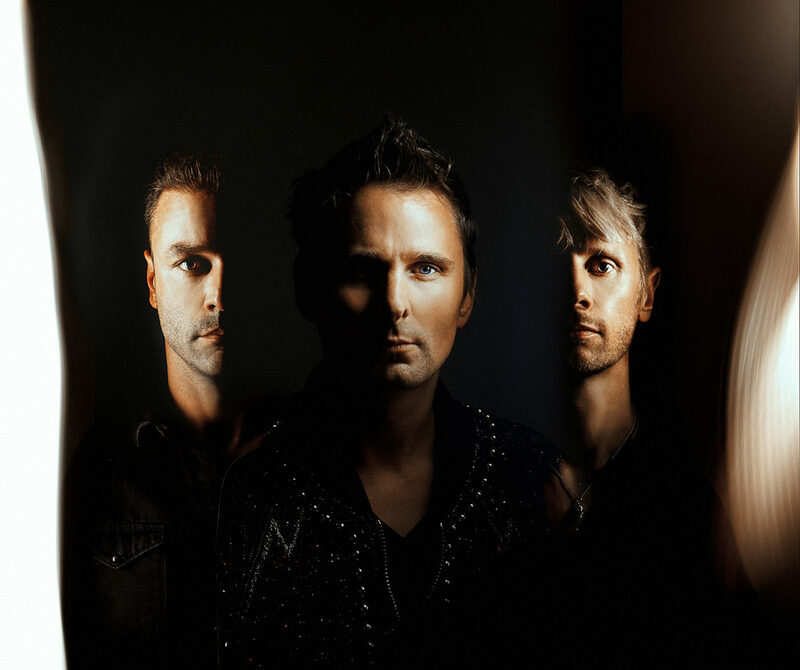 Muse Announced New LP 'Simulation Theory,' Share New Single 'The Dark Side' - GENRE IS DEAD! Throughout the year, Muse has been teasing their eighth studio album. Now, the band has given us all the details. The LP, titled Simulation Theory, comes out November 9 via Warner Bros. Records. The band also shared the tracklist and album art, illustrated by Kyle Lambert, who’s done poster art for Stranger Things and Jurassic Park. Check them out below. The follow up to 2015’s Drones was produced by the band along with Rich Costey, Mike Elizondo, Shellback, and Timbaland. They previously shared the singles “Dig Down,” “Thought Contagion,” and “Something Human.” They’re previewing a fourth track dubbed “The Dark Side,” which also received a visually stimulating music video. Check it out below. Simulation Theory will be available in three formats: the standard edition, a deluxe edition, which features 16 tracks, and the Super Deluxe featuring 21 tracks. Bonus songs include an acoustic gospel version of “Dig Down,” “Pressure” featuring a UCLA Bruin Marching Band, a live version of “Thought Contagion,” acoustic renditions of various tracks including “Something Human,” and “Alternate Reality” version of “Algorithm” and “The Dark Side.” Pre-order the album here. Muse will embark on a world tour in 2019 to support the album though no dates have been announced. Pingback:Watch: Muse Goes 'Back To The Future' In 'Pressure' Music Video - GENRE IS DEAD! Pingback:Album Review: Muse - Simulation Theory - GENRE IS DEAD!